The importance of SWOT Analysis in developing a Sales & Marketing Strategy is that you combine information from the environmental analysis and separate it into two components: internal issues (strengths and weaknesses) and external issues (opportunities and threats). What makes SWOT particularly powerful is that, with a little thought, it can help you uncover opportunities that you are well placed to exploit. And by understanding the weaknesses of your business, you can manage and eliminate threats that would otherwise catch you unexpectedly. What is your organization’s Value Proposition? Again, consider this from an internal and external perspective: Do other people seem to perceive weaknesses that you don’t see? Are your competitors doing any better than you? It’s best to be realistic now, and face any unpleasant truths as soon as possible. When Do You Use SWOT? Explore possibilities for new efforts or solutions to problems. Make decisions about the best path for your initiative. Identifying your opportunities for success in context of threats to success can clarify directions and choices. Determine where change is possible. If you are at a juncture or turning point, an inventory of your strengths and weaknesses can reveal priorities as well as possibilities. Adjust and refine plans mid-course. A new opportunity might open wider avenues, while a new threat could close a path that once existed. 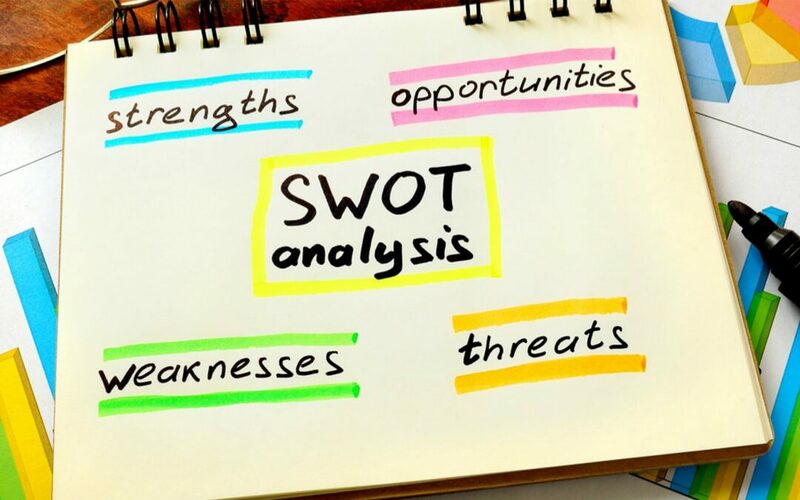 SWOT also offers a simple way of communicating about your initiative or program and an excellent way to organize information you’ve gathered from studies or surveys.